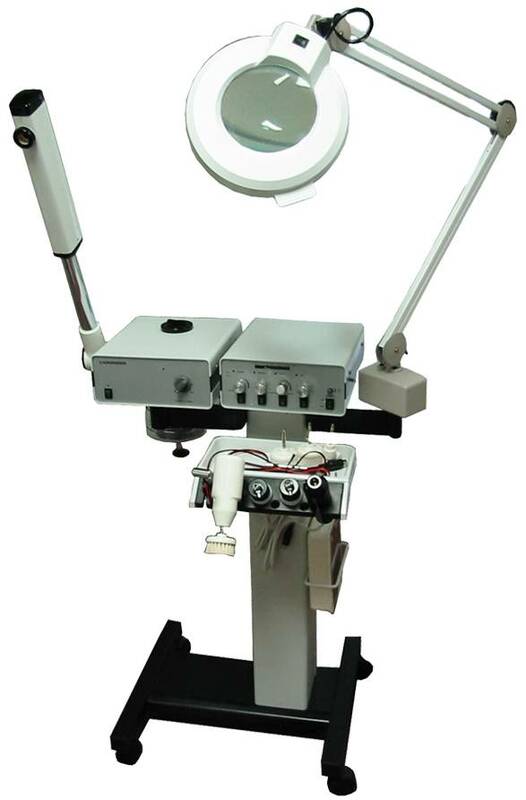 Multi-function facial system featuring steamer, massage brush, vacuum/spray, high frequency, galvanic, magnifying lamp, Wood's lamp, and four caster base. Buy more and save more, save up to 20% off! The CC-214N eight function facial system comes with a steamer, massage brush, vacuum/spray, high frequency, galvanic, magnifying lamp, Wood's lamp, and four caster base, making it an essential member of your salon equipment.